Our subject this morning is 'The Church'. Now, we could spend the whole morning answering the question alone: 'What is the church?'. In its most purest form the answer would come, the Greek word 'ecclesia', which we translate in English 'church' simply means 'called out ones', or 'assembly' - that is what the church is: a group of people who have been called out by God unto salvation, and who comprise a group, a body of people called the 'ecclesia', or the 'church'. Now we read this morning in Acts chapter 2 that the church was born at Pentecost, it had a beginning, but to be in the church you too need to have a beginning in Christ, you need to be born again. Acts chapter 2 tells us of the beginning of the church, and John chapter 3 tells us of the beginning of the new birth: 'Except a man is born again he cannot see the kingdom of God', and he certainly cannot be a member of the church. In fact, 1 Corinthians 12 tells us: 'For by one Spirit are we all baptized into one body', that one body being the church, that one Spirit being the Spirit which we are baptised into at the moment of our conversion in the new birth - being born again of the Spirit of God. So it's quite plain from scripture, from those very elementary texts that I've shared with you, but we could spend all morning studying many many more - it's very plain and clear that you cannot, yes, you ought not be a member of the church if you are not saved. Now, of course, you cannot be, in its purest sense, a member of the church without being a Christian. But of course there are many churches in our land, and denominations and persuasions, and they admit people into their membership who are not Christian, and that is clearly unbiblical. It's not my job this morning to hammer any system or any denomination, or any persuasion or inclination, but let me say this: the church is more than a denomination, the church is more than an ecclesiastical system, and the church is more than a building. We meet in a building, yes, and in our generation and society that has come to be known as 'the church', but that is incorrect - the church is a group of people who are 'living stones', you and I, people who are born-again who make up God's building, a group of people. Now there are many names that are given to the church, but we must distinguish between two aspects in the church. There is the universal church, that is the invisible body in the sense that you don't know how many there are, you don't know how far across the globe it spans, but it's every single believer in Christ that makes up His whole body - those who are in Christ on the earth, and even those who are in Christ in heaven. That is the universal church. But that universal church, which is the spiritual reality that we are all one in that we've just been singing about, finds its practical expression and manifestation in the local church - if you like, the place that we're meeting today, the place where many groups of believers right across our city and land are meeting in as we speak, the local assembly. Now both of those expressions of the church have been described in many metaphors throughout the scripture, especially in the New Testament where we find it. It's described as 'the body', whose head is Christ - no other head, no pope, no potentate, no Archbishop, just the Lord Jesus Christ, the church's one foundation. He is the head of the body, but we are the members. Then in another place it's described as a building, as I've already said, Peter says 'living stones' make up this building. It is a house, or a household of faith, it is the bride to the Lord Jesus Christ who is the Bridegroom; it's described in Hebrews as a city; it's described as a flock of sheep. In Ephesians it's described as 'the new man', which tells us that that it's something other than Israel of the Old Testament, this is a mystery to the Old Testament believers, but it's been revealed to us in the New Testament time. In the book of the Revelation the church is described as a lampstand. Its organisation is very simple, according to the New Testament it's led by elders, it's served by deacons, it's comprised by members. It has two ordinances: simply the Lord's Supper and baptism, that have been left with us by our Lord - the only two commands that we've been given to obey in that ordinance sense. It's purpose, we could give it as being five-fold: 1) to glorify God; 2) to evangelise those that do not know God; 3) to produce holy Christians, sanctification in the life of the believer; 4) to care for its own, those who are in need; and 5) to do good in this world, to be a testimony in our charity towards others outside of Christ. Now I think you can say right in our introduction, that résumé and summary very briefly of what the church means in the New Testament alone, that the church has a great place of prominence in the holy Scriptures. I say it again: the church has a great place of prominence within the Bible. But I would also say that that is a prominence that is not reflected in the priorities of modern day Christians of our age. I would go further to say that the doctrine of the church has been progressively weakened in evangelicalism today. Whereas in years gone by, when people were saved they followed the apostolic order of automatically being baptised and then joining a local church, it doesn't seem to be the norm today. Today we often get the impression that a personal relationship with the Lord Jesus Christ is all that really matters, and anything after that is a bonus. Our generation, I think, has given rise and birth to a phenomenon that has never ever been seen in any other church age or era, and it's simply this: church-less Christians, church-less Christians - people who think that it's possible to be committed to Christ on the one hand, but not committed to Christ's church. Now whilst it is the most important thing in the world to be related to Jesus Christ by grace through faith, that does not minimise the role of Christ's church in the life of the believer, or indeed the role of the believer in the life of Christ's church. I ask you today first and foremost, the most important question: are you saved? Maybe you claim to be a member of a church and you're not born-again, well you're not a member of God's church - you might be a member of the Presbyterian Church, or the Methodist Church, or the Church of Ireland, or another church; you may even be a member of the Brethren or the Iron Hall - but you're not a member of Christ's church if you're not saved. I ask you again: are you a member of the church because you're born again, and you're not baptised? You're in disobedience to the Lord: He commands every believer to be baptised. But this morning we're looking at the next step after belief and baptism, and that is being added to the local church. The opposition and argumentation against this practice comes in various shapes and forms. There are those who think: 'Well, if you belong to the invisible church universal, the body of Christ, isn't that not enough? You've been saved and you've been added to His universal body, what's the need to sign a dotted line?'. Well, first of all there is no signing of a dotted line, and it's not like joining a club - church fellowship is simply acknowledging to the oversight and leadership of that assembly that you want to be underneath their discipline, being added to the church. But there is more in the Scriptures than just simply the church universal, because as you read the epistles you find that Paul often writes to the church that is in Ephesus, to the church that is in Corinth, and if there weren't tangible real people that belong to those churches, and you looked at them and said 'They belong to that assembly and were under the leadership of the elders', it would be a nonsense to talk about a church anywhere! There are others who say: 'Well, I don't recognise the leadership of a certain church, or maybe I don't recognise the doctrines and practices of that particular church', yet the amazing thing is they come anyway and won't join! They come to that church, but they won't commit themselves - and that's very strange, at least I think it is. Then there are others who believe they're so perfect that they won't go anywhere, and they're meeting in little houses all over our land in twos and threes because there's no church good enough for them! They have the truth and the truth alone! Then there are those, and I think perhaps these are in the majority, who don't want accountability - they don't want to put themselves under the authority and the discipline of an oversight or of other believers in a membership, because there is sin in their life, or there's something in their past or their present that they're wanting to hide - and they don't want any difficult questions asked. Now I say: I have no sympathy with any of those positions at all, because I see them as against Scripture. One position I do have sympathy with, though it is still a false position to hold, is those who have been hurt in other assemblies. Because of that you never want to, as you see it, be in a vulnerable position again - I sympathise and empathise with you, but nevertheless that is still not a grounds for disobeying the Lord's command, because what you are seemingly protecting yourself from - the greater loss to you is what you're losing by not being fully implemented into a fellowship of Jesus Christ. Cyprian, the church father, put it like this: 'People who are not in membership within an assembly, they have God as their Father, but they reject the church as their mother, and as a result they are incomplete and stunted'. There is no such thing in the New Testament scripture as a church-less Christian, and here is an indisputable fact that I will not argue because it's very black-and-white within God's word: you cannot be a fully rounded or a mature Christian if you think you can exist without full commitment and participation in the church. Now the question posed to us today in our particular situation is: why has there been a downward trend in the light of how people view their commitment to the local church? Well, there are many many answers could be given to that question. In general there is a lack of commitment in society today, you can't get people to commit to anything! There's a lack of accountability and respect for authority, and we see that in many realms and many levels of our society and in our civilisation today. There's a lack of loyalty in general. There is a rise in individualism - people think that they need no one else, 'Every man is an island, I can survive on my own even as a Christian'. There has also been, in the last 20, 30, 40 years, in our society an eroding of communities in general. The neighbourhood has disappeared as it was known years ago, and communities in general have suffered - none less than the community of the church of Jesus Christ. But I think added to that there is a bad testimony of churches. A lot of people, even Christians, don't want to belong to certain churches because they have a bad testimony - and though we will put fault at the door of people who won't join churches, we also need to take some of the responsibility ourselves that perhaps we are not the church that we ought to be for people to want to join us. Maybe there's not a respected leadership that people want to aspire to; maybe at times there is not the clear teaching that ought to come in churches from God's word - but I think perhaps the biggest reason why church is in ill-repute today is plain, clear, black and white: apathy, selfish apathy. R. Kent Hughes, in a book that I have been reading recently, writes this: 'Church attendance is infected with a malaise of conditional loyalty which has produced an army of ecclesiastical hitchhikers. The hitchhiker's thumb says, 'You buy the car, pay for repairs and the upkeep and insurance, fill the car with gas, and I'll ride with you - but if you have an accident, you're on your own! I'll probably sue you! And so it is with the credo of so many of today's church attenders. It is the thumb of the hitchhiker. You go to the meetings, you serve on the board and the committees, you grapple with the issues and do the work of the church, and pay the bills; and I'll come along for the ride - but if things don't suit me I'll criticise, I'll complain and probably bail out. My thumb is always out for a better ride'' - the spiritual hitchhiker. They're here this morning in this meeting. 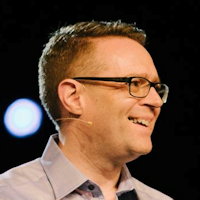 You have applied - we'll maybe hear it from Bill Freel at Easter - a consumer attitude to the church of Jesus Christ. You take what you want and leave what you don't want. It is, as someone has called it, the 'McDonald-isation' of the church, where you cherry-pick - the 'McChristian' mentality where you come and consume, perhaps give little or nothing back, and then go away and criticise everything that you've seen and heard. You come and you fill your spiritual appetite in this place, yet perhaps you're a hitchhiker - like some who attend one church for its preaching, then they send their children to a second church because it has a dynamic youth programme, and then they go to the third church themselves because they have house-groups that they like. I'm not decrying any of those things on their own, but the problem is: that does no good for one individual church, whatever that church may be. Church hitchhikers don't help the church, because they are effectively taking the church for a ride. Vance Havner called them 'church tramps'. He spoke to one who had already belonged to three different denominations, and this man said to his pastor: 'I'm getting ready to make another move'. 'Well', replied the pastor, 'it does no harm to change the labels on an empty bottle'. The fact of the matter is: commitment to everything, and especially the church today amongst Christians, is at an all-time low ebb. We have got to waken up to the fact, you have got to waken up to the fact - because I think I'm quite committed already! - that commitment is vital in many many areas of life. It's vital to the family, it's vital to marriage, it's vital to your friendships, it's vital to employment, it's vital to your studies, and it is vital to the church. None of those things will flourish without commitment! The greatest example, perhaps, is marriage: you can't produce the security and the satisfaction and the growth that is promised in marriage unless you're committed. That's why people living together, they don't really enjoy it in the full sense of the commitment of marriage. Now commitment has its good times and its bad times - and you that are married will know that - but the fact of the matter is: your marriage will never grow into the greatest fulfilment unless you are committed. Some people say to me: 'You don't have to go to a particular church to be a Christian'. Well, you don't have to go home to be married, but you'll find out after not too long that if you don't go home you'll not have a great relationship with your husband or your wife. If you don't attend and commit to a church you cannot have a great relationship with the Lord Jesus. Hebrews 10:25 is very clear on the matter: 'Not forsaking the assembling of ourselves together, as the manner of some is; but exhorting one another: and so much the more, as ye see the day approaching' - our version today could be: 'and all the less as we see the day approaching'. For as we come nearer the second return of the Lord Jesus Christ, we see that people are less committed to what we have known in the past as 'the church', which only reflects a lack of commitment to the Lord Jesus Christ Himself. Now in Acts chapter 2, the proof of the reality of those 3000 or so soul's conversion on Pentecost was their continued commitment to the church of Jesus Christ - you can't argue with that! That is what the apostle uses as an evidence of how he knew that those 3000 people were saved: 'They continued stedfastly in the apostles' doctrine and fellowship, and in breaking of bread, and in prayers' - as the Amplified says: 'They steadfastly persevered, and devoted themselves constantly' to those things. What were they? The apostles' doctrine, that is the oral inspired teaching of the apostles that was later written down, and that is - we must say, and every Christian will say 'Amen' to this - the foundation of all of our faith in Christ. But here's the question: do you read it? Do you study it? Are you in the place where it is studied, in your local assembly? For you're not continuing steadfastly if you're not met with God's people to look to the apostles' doctrine and see what saith the Scriptures. Then they continued in fellowship, literally the word means 'partnership' or 'sharing'. This was another sign of their new life in Christ, they wanted to be with the people of God, they wanted to share things in common with the people of God; and there was a sense in this of being separated from the world and being with the Christians. Now baptism is a picture of that, that's why you need to be baptised: to say that you don't belong to the world any more, but you belong to the church - but do you want, do you long to be with God's people in fellowship? I'm not talking about your clique that meets for coffee on a Sunday night, I'm talking about the church - fellowship. Thirdly, the Breaking of Bread, now obviously, although there were love feasts in the early church this refers, I believe, to the Lord's Supper. In Acts 20 verse 7 we find that the practice came into being that on the first day of the week, they met together and remembered the Lord - there's a subject! Are you remembering the Lord this morning? Do you remember the Lord every Lord's day morning? At least, do you remember the Lord as often as you can remember the Lord? I tell you: it is a shame and disgrace that that room up there is not filled, and we're not down here. I'm not going to water down my words this morning: it is a shame and disgrace! Jesus Christ, the Son of God, bled for you - and you can't get out of your bed, some of you, that's the bottom line. Then we ask why people aren't being saved, why there's no blessing, why God's not moving, why there's all the problems. Then fourthly, the fourth principal practice of the early church was prayers - that simply meant that they expressed complete dependence upon the Lord. You see, if you're depending on the Lord you'll be praying in private, but you'll be praying with the people of God. We pray at the prayer meeting, do you? I'll be honest, and I don't want to come across as 'thran' - and you know what that is - but I get fed up at times. Can I open my heart to you this morning? I just get fed up, fed up with the excuses, fed up with the nonsense, when you could be there - if you wanted to be there you would be there. In verse 43 this was the result: 'Fear came upon every soul: and many wonders and signs were done by the apostles'. In other words, there was a manifestation of power, and awe came upon the church because the Spirit of God was evident: their hearts were hushed, their lives were subdued, because it was evident that God was there! I'm not saying that if you do these four things that will happen, but I'm telling you this: if you don't do any of these things, you can be sure it'll not happen. Well, the question is simply: how committed are you to these things? How committed are you to the Monday evening Bible study? To the Thursday evening prayer meeting? How committed are you to the Breaking of Bread? How committed are you to fellowship? Vance Havner said some mighty words, and on this subject of commitment he said: 'Some church members tell us that they will be absent in body but present in spirit, one has a spooky feeling preaching to ghosts. Then there are those who are present in body but absent in spirit, and I'm not sure which crowd I'd rather preach to'. Let me ask you a couple of questions: are you committed to regular attendance? Now listen, attendance doesn't make you a spiritual giant, don't misunderstand what I'm saying. It does not fulfil all the spiritual principles in your life just to go to meetings. But I'm telling you this: you will not grow if you don't go and meet with God's people. Do you have a plan to attend, or is it just 'Well, if I'm free I'll go'? Do you actually schedule it? You schedule your work, you schedule your holidays, you schedule your plans of every shape and form. The rest of your dairy - I say to you today - ought to bow to the commitment of what goes on in your church. But sadly, church is fitted around everything else, and I'm talking about your employment - and I know things are harder today than they have always been - and I'm talking about where you live, do you choose your house, young people, because it's cheaper or because it's nearer to your church? I know there's a dilemma in those things, but where are your priorities in that matter alone? Are you committed to attendance? Secondly, are you committed to discipline? People say: 'Look, you don't have to join the church, I mean where do you find that in the Bible, a membership roll?'. You don't find a membership roll, but I'll tell you what you do find: you find in the book of Hebrews that you're to submit to the authority of overseers. You can't submit to the authority of the overseers here if you go to another church one Sunday, and another church a different Sunday, and you don't really know where you belong, and the elders of all those churches don't know if you belong to them or not - it's simply saying: 'I want to belong to you'. Now if you haven't done that, you're not going to be disciplined - and I'm not talking about getting a smack. Discipline is more than simply getting a smack and a reprimand, discipline is help, discipline is someone putting their arm around you - discipleship, helping you grow; when you've got problems, being there for you. We mightn't do it the way we ought to do it, but if you don't seek it how will you ever find it? Actively placing yourself under the help and discipline of others. Are you committed to discipline? Are you committed to participation? I'm talking about participation of your time; participation of your talents, the gifts to God has given to the church, are you pouring them into the church to the glory of God? Are you committed to giving? Our Treasurer does not disclose, thank the Lord, what people give in this church - but it's just as well for you! Are you committed to giving, not just to the church but to missions and to the work of God? These are commitments that are in the New Testament - but where are they today in the so-called New Testament church? In other words, what the word of God is saying is that the church must be at the very centre of the life of a Christian. But sadly, as A. J. Gordon illustrates, the average church is often like a congested lung - only a few cells are doing the breathing, and there's usually a faithful nucleus surrounded by a mass of nominal Christians pulling it all down. Now I know what people will say in their heart and in their head: 'Well, I'm not happy with this church' - do you think I'm happy with everything in this church? Is anybody happy with everything in any church? The question is this - there is no perfect church, and I'll tell you if some of you joined it, it would surely be the last day it was perfect - but the question that is before all of us is this: what are we doing about it? The church isn't perfect, everything isn't right, but what are you doing about it? Are you praying about it? Are you working to help it? Or are you griping and moaning and gossiping and complaining to hinder it? "Hear what the Lord has done for me"'. Ask yourself the question: what kind of church would my church be if every member was just like me? You know I'm not psychic, I'm not a prophet, or the son of a prophet; but I can tell, you know, sometimes when we're singing these choruses in the morning, those of you who are gossiping. Ask yourself the question: what kind of church would my church be if every member was just like me? Do you know what some of the churches would be, maybe this one? A museum - you've had your day, you're a spectator, you're watching the game but you're not taking part. Or maybe it would be a hairdressers - 'How come? ', you say - well, maybe splitting hairs in four different ways, that's all we spend our time doing. Would it be a service station, where you come to get filled, but it's a place where you don't expend any energy? Would it be a sleeping carriage, where you don't want to, as a passenger, be disturbed from your comfort? Maybe it would be a refrigerator, where it's so cold for unbelievers to come in, that any new arrivals are driven away. Old Nicholson used to say: 'Some churches, if you brought a bucket of milk in, it would be ice cream before the meeting was over'. Now friends, these are serious questions: what is church meant to be? What are you making church? Jim Elliot said: 'Wherever you are, be all there' - wherever you are, be all there - 'Live to the hilt every situation you believe to be the will of God'. There's a lot of questions here this morning, here's the next one: is it the will of God for you to be here? Is it the will of God for you to be here in the Iron Hall? Well, if it is, you've got to give your all to it - it's as simple as that. Is it not the will of God for you to be here? What are you doing here then? Your absence would be a blessed subtraction to the rest of us and to yourself, if you're not in God's will - contradictory. An old preacher said to his audience: 'Some folks think they hurt the church when they get mad and quit, but they're all wrong about that. It never hurts the tree for the dried up apples to fall off'. Where is your commitment? Don't give me all the excuses, I've heard them all and I don't want to hear any more. If it's God's will for you to be here, you've to put your hand to the plough with all your might; if it's not, get out! It's as simple as that. Where is the commitment? I'll finish with this story. It was told by Billy Graham originally, many many years ago, and when it was first quoted from a letter written by an American college student who had been converted to communism in Mexico, it really shook the church. The message today could be the language of terrorists or political extremists, but the purpose of the letter was to explain to his fiancee why he was breaking off the engagement. You might have heard it before, but it speaks about commitment, this man's commitment to communism. 'We communists', he said, 'have a high casualty rate. We are the ones who get shot and hung, and lynched and tarred, and feathered and jailed, and slandered and ridiculed, and fired from our jobs and in every other way made as uncomfortable as possible. A certain percentage of us get killed or imprisoned. We live in virtual poverty. We turn back to the party every penny that we make, what is absolutely necessary to keep us alive, that is all we keep back. We communists don't have the time or the money for many movies, concerts, T-bone steaks or decent homes or new cars. We have been described as fanatics. We are fanatics. Our lives are dominated by one great overshadowing fact: the struggle for world communism. We communists have a philosophy of life which no amount of money could buy. We have a cause to fight for, a definite purpose in life. We subordinate our petty personal selves into a great movement of humanity. And if our personal lives seem hard, or our egos appear to suffer through subordination to the party, then we are adequately compensated by the thought that each of us, in his small way, is contributing to something new and true for a better mankind. There is one thing which l am dead earnest about, and that is the Communist cause. It is my life, my business, my religion, my hobby, my sweetheart, my wife and my mistress, my bread and my meat. I work at it in the daytime and dream of it at night. Its hold on me grows, not lessens, as time goes on. Therefore, I cannot carry on a friendship, a love affair or even a conversation without relating to it this force which drives and guides my life. I evaluate people by it, books, ideas and actions according to how they affect the Communist cause and by their attitude toward it. I have already been in jail because of my ideals and, if necessary, I'm ready to go before the firing squad'. Sooner or later believers have to realise that it must be everything or nothing. The Lord cannot be satisfied with half a human life, half-hearted allegiance, divided loyalties - He's either worth everything, or He's worth nothing! You choose. Henry Drummond said: 'Above all things, do not touch Christianity unless you're willing to seek the kingdom first. I promise you a miserable existence if you seek it second'. First or second? Not Christ first and the church second, no - it's His church. Now listen to me: my intention is not to annoy people in what I've shared this morning - but if you're annoyed that's good if that sorrow leads you to repentance, and if you've a heart submissive and meek before God you'll know that what I have said from God's word today is right, and you will put your life in line to it. If you've any other objection to that, that's your problem, you're out of sync with God's word and you have to set your life in order. Father, we pray that Thy people will be enabled to have grace to bow the stiffnecked 'I', to bow the head and die, beholding Him on Calvary who bowed His head for me. Lord, break our stubbornness, melt our hearts, flush out the dross and the rubbish we pray, and do something in our lives and in this fellowship that has never been seen before. For Jesus' sake we pray, Amen. This sermon was delivered at The Iron Hall Assembly in Belfast, Northern Ireland, by Pastor David Legge. It was transcribed from the tenth recording in his 'Back To Basics' series, entitled "The Church" - Transcribed by Andrew Watkins, Preach The Word.